I would love to claim that the 2017 Heretic Red was planned from the beginning, that I had always dreamed of blending Cabernet with Grenache and Savagnin. I would, of course, be lying through my teeth - I had no intention of creating any such blend. When we started Heretic Wines I had pretty serious delusions of grandeur, of making Grenache that people confused with Pinot, and single site Margaret River Cabernet so pure that it made Eddie Woo look like a drug dealer. However, mother nature and vintage 2017 had other plans and, in the process, completely changed the goal posts for me. For years I, like most of the wine world, have been fascinated by the concept of ‘terroir' - how site, environment and seasonal variation affects the way a wine smells, tastes and feels. I think the impact that terroir has on wine (and plenty of other agricultural products for that matter) is both undeniable and profound. However, 2017 made me realise that we should add another variable to the mix - the personal circumstances of the person (or people) growing the grapes and making the wine. I’m not going for a ‘Like Water for Chocolate’ scenario here, I’m more interested in how the pragmatic realities of life affect each vintage and, in turn, the wines produced. 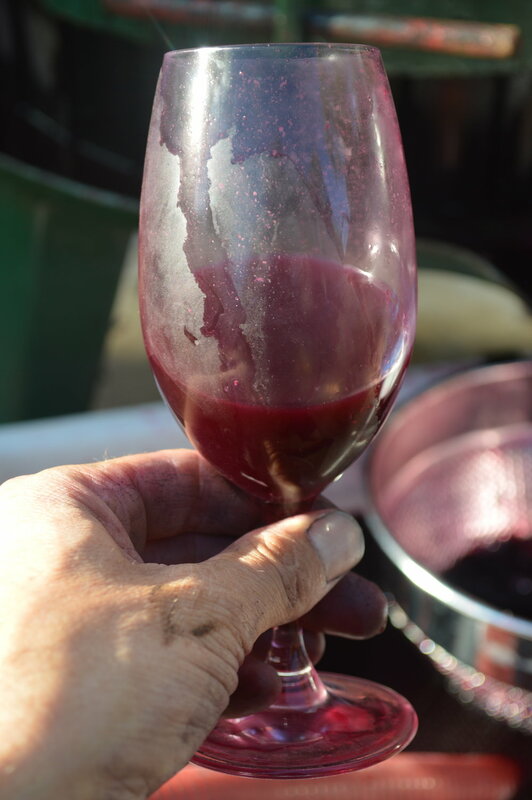 For example, in an ideal scenario, you make the decision on when to press a red ferment based on the evolution of the wine on skins - how flavour, colour, tannin and acid combine. But....what if the ideal time to press coincides with your daughters school assembly, or you’re making the wine at a contract facility and the press isn’t available, or your wife is having a nightmare at home with your 4 month old son and you have to get home....what do you do then? I’m not suggesting that the challenges of each vintage, be they personal or professional, are part of the terroir, but they definitely leave a mark on the final product. Which brings me to the 2017 Heretic Red. The growing season from Spring 2016 and into 2017 was considered, by many in the district, as one of the most difficult of the last 20 years. Rain throughout the season made disease control an ever present issue and higher crop loads made tannin and acid balance a challenge. Add to the mix that we were making the change to organic viticulture (ie. fewer options to combat such problems) and we had our hands full. As a result, we picked both Cabernet and Grenache at lower sugar levels than we would have labelled as 'ideal'. However, what we did end up with was excellent natural acid, perfume and vibrancy of fruit. We handled the ferments gently, and the finished wines were elegant, feminine and (we think) delicious. That, however, is only part of the story and I've only recently reconciled the rest (months after the wine was blended and bottled). It crystalised for me while I was listening to an interview with Maggie Harrison of Antica Terra in Oregon's Willamette Valley (by Levi Dalton on his 'I'll Drink To That' podcast - check it out here). She spoke about the art of blending, not for a specific style or with a pre-determined destination in mind, but simply to to find the best wine. Ultimately, that's what we did with the Heretic Red - we had 5 barrels available to blend, and what looked (to me at least) to be the best wine was a blend of all 5 barrels. It was light-medium bodied and almost looked like a Margaret River version of Beaujolais. Now, some might say (and I wouldn't blame them) that it's a bit bloody convenient, because what would we have done with a barrel that missed the cut? The truth is, I have no idea, but (thankfully) we weren't presented with that dilemma. I was underselling it when I said it had changed the goalposts for me - they've been ripped out and chucked on the burn pile! I went into vintage 2017 with a mix of ignorance, ego and a lack of respect to think that I could simply make whatever style of wine I wanted. Ultimately, I would have been fighting against the terroir and the season, and the resulting wines would have been a poor reflection of both. I'm slowly realising that, of all the things we're exploring with Heretic Wines, grape variety is the least interesting. How we farm, how we interact with the wines as they evolve and how we put them together to form a cohesive, transparent and beautiful narative of the season is much more compelling. Stay up to date with new Heretic Wines releases, upcoming tastings and events. We have no desire to bombard you with weekly newsletters (we hate that sort of stuff and, to be honest, we don’t have that much time!) We plan on sending out 2 - 3 emails a year, plus the occasional blog post. WARNING: Under the Liquor Control Act 1988, it is an offence (1) to sell or supply liquor to a person under the age of 18 years on licensed or regulated premises; or (2) for a person under the age of 18 years to purchase, or attempt to purchase, liquor on licensed or regulated premises.